Former World No. 8 Janko Tipsarevic looks back on claiming his 12th ATP Challenger Tour title in Bangkok, Thailand. Janko Tipsarevic pulls off an inch perfect lob over 6'11 Ivo Karlovic in their second-round clash in Tokyo on Thursday. Q. What does a win like today tell you about where you are in your comeback? JANKO TIPSAREVIC: I always celebrate a little bit more in tennis than I should. But, you know, two years and three months not competing kind of takes a lot from you (smiling). Beating a very good player on a big court means a lot, a lot. I feel the challenger that I won prior to come to the US Open two weeks ago, even though it was on clay, it wasn't that strong, gave me confidence because I won it from quallies, and I won seven matches in a row. It's just nice to hear, Game, set, match, Tipsarevic. When you have practice and wins behind you, hopefully this will help me go deep into the tournament. Q. How do you rank Armstrong in terms of courts? Juan Martin del Potro crushed Janko Tipsarevic 6-0, 6-4 at the 2012 Barclays ATP World Tour Finals. 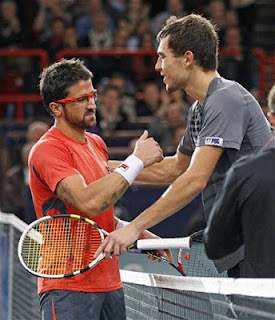 In the final round-robin matches on Saturday, del Potro will play Roger Federer and Tipsarevic will face David Ferrer. The opening set was a one way road where the Argentine lost just five points on serve while his opponent won just two of 13 points on his second serve and committed 11 unforced errors. In the second set, things looked a little bit better for the Serb as he got on the scoreboardin the opening game. But it was a late as Del Potro broke for a 3-2 lead and never looked back. 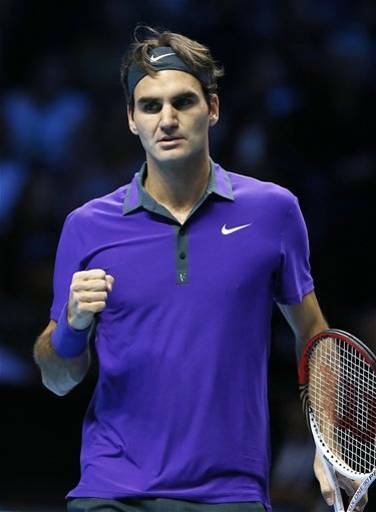 Roger Federer scored a 63 61 victory over Janko Tipsarevic at the ATP World Tour Finals. Federer took his haul of victims in the event to 40, one more than Ivan Lendl, to set another record. The Swiss broke Tipsarevic's first service game and never looked like loosening his grip in a one-sided contest. Tipsarevic never looked like recording a first career victory over the Swiss, however, and despite offering dogged resistance there was an air of predictability about the contest. Jerzy Janowicz advanced to the semis at the Paris Masters when Janko Tipsarevic retired while trailing 3-6, 6-1, 4-1. After losing the opening set, Janowicz stepped up his game and broke Tipsarevic twice and held to love on his service game to even the match. Tipsarevic was broken after double-faulting twice in the third game of the third set and Janowicz then held to get a 3-1 lead. He broke Tipsarevic again with a booming forehand winner for a 4-1 advantage. Then the Serb called for a trainer as he appeared to complain of dizziness and stuck out his tongue while a trainer checked his throat. Tipsarevic briefly continued and Janowicz was ahead 40-0 on his serve when the Serb waved his racket to indicate he was stopping. Jo-Wilfried Tsonga and Janko Tipsarevic qualified for the season-ending ATP World Tour Finals after reaching the quarterfinals of the Paris Masters. 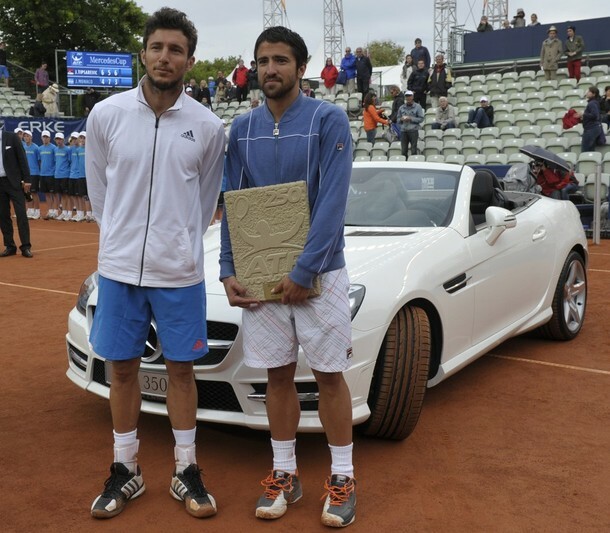 Tsonga beat Nicolas Almagro 7-6 (4), 7-6 (3) and Tipsarevic defeated Juan Monaco 6-3, 3-6, 6-3. 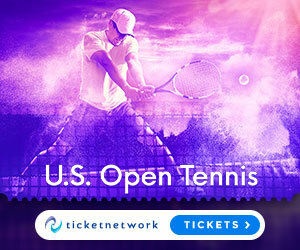 They will join Novak Djokovic, Roger Federer, Andy Murray, David Ferrer, Tomas Berdych and Juan Martin del Potro at The O2 arena in London next week. "It's really important for me to have qualified. With the big four at the moment, it's not easy to get rewards in tennis," Tsonga said. "I have some great memories from last year where I played the final against Roger. It was huge for me, one of the big moments of my career." Juan Martin del Potro will facer Grega Zemlja at the Erste Bank Open final. Del Potro beat Gilles Muller 7-6 (4), 7-6 (5) while Zemlja upset Janko Tipsarevic 3-6, 7-6 (5), 6-2. Del Potro is playing his first tournament since returning from a wrist injury that sidelined him for more than a month. "Being in the final means a lot to me after a month without playing," he said. 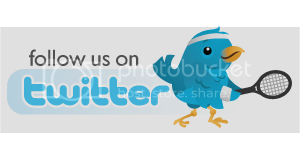 "I am getting better match by match. I am improving on my game, on my confidence. I am happy to play my second final in a row here." The Argentine said he was especially satisfied with his serve. He won all 38 service games in this event. There were no breaks of serve during the match but Del Potro converted his fourth match point with an ace. It's his return that he needs to improve, Del Potro said. "Once again, I did not take my break point chances in this match so I will work on that," he said. "I miss a lot of break points. Against this kind of player, one break point is like match point or set point." Zemlja lost the opening set and was down 3-1 in the second but broke back and got the match under control. "Only in the third set I started thinking about winning," Zemlja said. "I got the feeling the match was in my hands but it was hard work and I had to stay focused until the last point." "I was too passive, I was waiting for Zemlja to give me the victory instead of going for it," the Serb said. "I didn't stay focused until the end of the points." "This is an incredible dream," said Zemlja. "I am full of confidence now. I have no tactics yet to play Del Potro. I will have to talk to my coach first." In the third set, Tipsarevic got medical treatment for an injury to his right shoulder, which has caused him problems in the past. 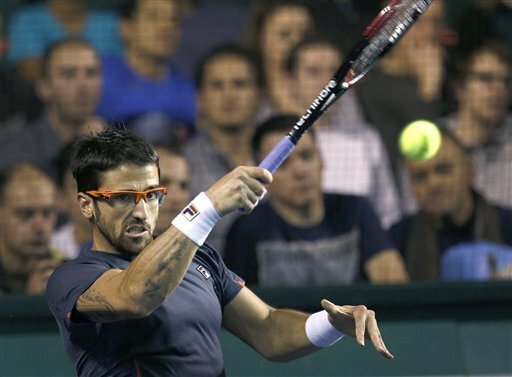 "It was bothering me for almost two years but in the last year and a half I didn't feel it all," Tipsarevic said. "I hope it's not too serious." 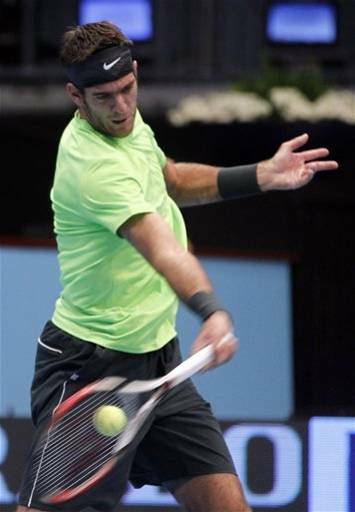 Juan Martin del Potro defeated Marinko Matosevic 6-2, 6-2 to reach the semifinals of the Erste Bank Open in Vienna. Del Potro will next face Gilles Muller. The Argentine saved a break point in his opening service game against Matosevic and two more while serving for victory, but was in control throughout the match. "I feel confident with my shots, but I need to improve a little bit," Delpo said. "I would love to be in the final, but I need to serve well and find a way to break (Muller's) serve." 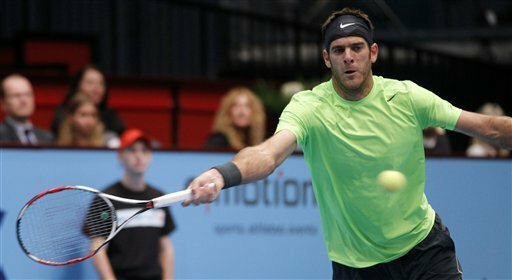 "We played long rallies, which is better for my game as well as my body," said del Potro. 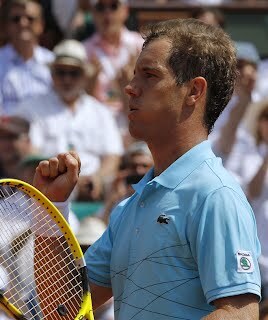 "I felt confident with my shots, but I need to improve a little bit for my next round [against Gilles Muller]. He's a lefty, a serve-volleyer, and a very dangerous player. I would love to be in the final, but my next round is going to be difficult." Novak Djokovic beat Janko Tipsarevic 6-4, 6-1 to reach the final of the Toronto Masters where he will play Richard Gasquet. Nole and Tipsy waited out a long rain interruption for the second day in a row and had to pause for 90 minutes in the sixth game of their semi-final. "We wanted to play and finish the match tonight," said Djokovic. "Of course we cannot affect the weather, but it was good to get this match done. "Number one is of course a motivation for me, I cannot lie. I want it again. 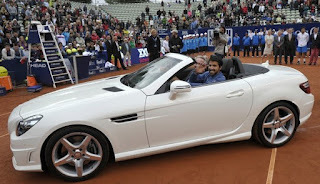 Some women are very lucky and Janko Tipsarevic's wife is one of them. 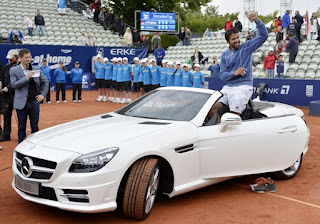 The Serb won today the Mercedes Cup title in Stuttgart where he got a nice check and also won a top of the range Mercedes-Benz that he will give to his wife. "I don't want to call it a deal, but I have pretty solid car at home, so I don't need it," said Tipsarevic. "But my wife (Biljana) and I had our anniversary a couple of days back. She also had her birthday. So I promised her the car, if I won the tournament. The points go to me." Janko Tipsarevic defeated Juan Monaco 6-4, 5-7, 6-3 to win the 2012 Mercedes Cup title in Stuttgart. Tipsarevic was up a set and led 4-1 in the second set when the encounter was delayed due to rain and when they came back the Serb allowed his opponent to take the momentum. Monaco won 12 of 13 points, including all eight on Tipsarevic's serve to take the set. Tipsarevic broke serve first in the third but then dropped his serve after a longer, 20-minute interruption because of rain. When they returned, Tipsarevic again dropped his serve at love. He then broke back immediately, and took the match after Monaco sent a forehand into the net on Tipsarevic's second match point. 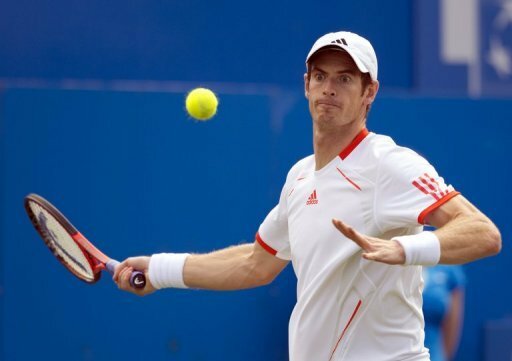 Andy Murray was beaten by Janko Tipsarevic 6-7 (5/7), 6-4, 10-7 at The Boodles event at Stoke Park in Buckinghamshire. Even he had poor results on grass in 2012 the Scott was just happy to get more time on court and didn´t take too bad his loss. "It's always good to get matches in before a big event, especially against a top 10 player so it was a good test," Murray said. "I was moving much better than I was a week ago at Queen's, I wasn't slipping around as much which will be important for Wimbledon. "I'm hitting the ball very well and practice has been very good over the last few days. David Ferrer, Richard Gasquet and Janko Tipsarevic reached the second round at Roland Garros. The Spaniard enjoyed a 6-3, 6-4, 6-1 victory over Lukas Lacko, the Frenchman beat Jurgen Zopp 6-3, 6-4, 7-6 while the Serb defeated Sam Querrey 2-6, 6-4, 7-6, 6-3. Ferrer converted six of 12 break point opportunities. He committed 29 unforced errors and won 14 of his 16 approaches to the net. He is now four match wins shy of 450 victories (446-239). 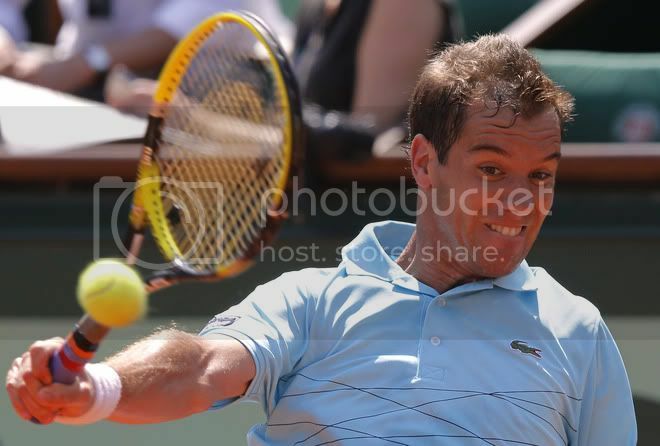 Gasquet was made to work a little but advanced in straight sets for the joy of all the local tennis fans. "No, I didn't know him at all," said Gasquet of Zopp. "He's a strong hitter, he was serving well. [The] surface was fast with the sun and I think I played well. It was not easy. I could have lost one set, either the second one or the third one. The first match on the Central Court, it's always like this. It's always difficult. You have to know how to play. He was playing well. I'd say it's a good match for me."